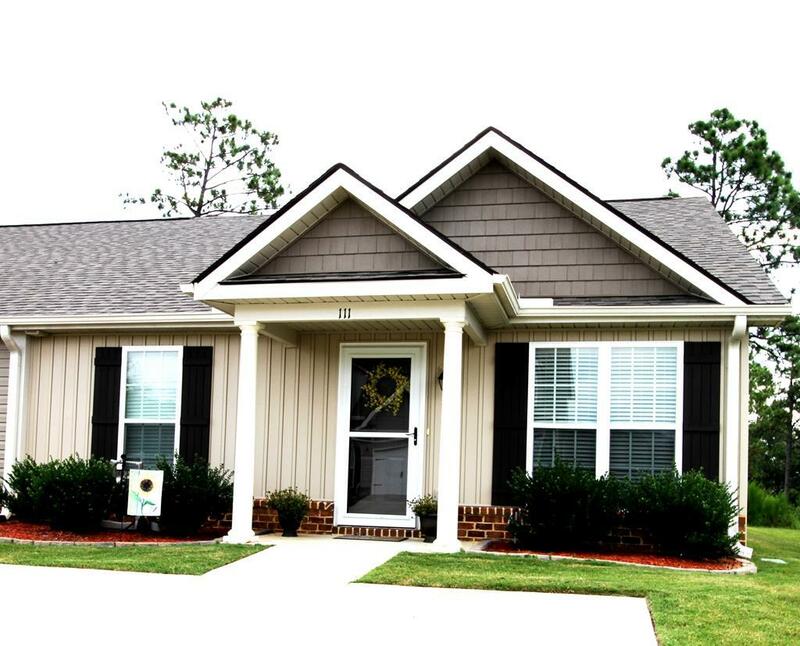 Adorable move in ready townhome in Trolley Run! Spacious great room with soaring ceiling and formal dining space. Well appointed eat-in kitchen with pantry, stainless appliances and plenty of counter and cabinet space. Generous master suite with walk-in closet, and en-suite bath featuring a large shower with bench seat, floor to ceiling linen cabinet and separate vanity area. Guest bedroom with walk- in closet and hall guest bath. Laundry room with shelving for storage. Lovely private fenced back yard ( green space behind) with patio and two elevated deck areas, one for seating and one with the perfect space for your grill! Better than new and a perfect spot to enjoy life and entertain! HOA maintains yards and covers expenses related to well for irrigation system.